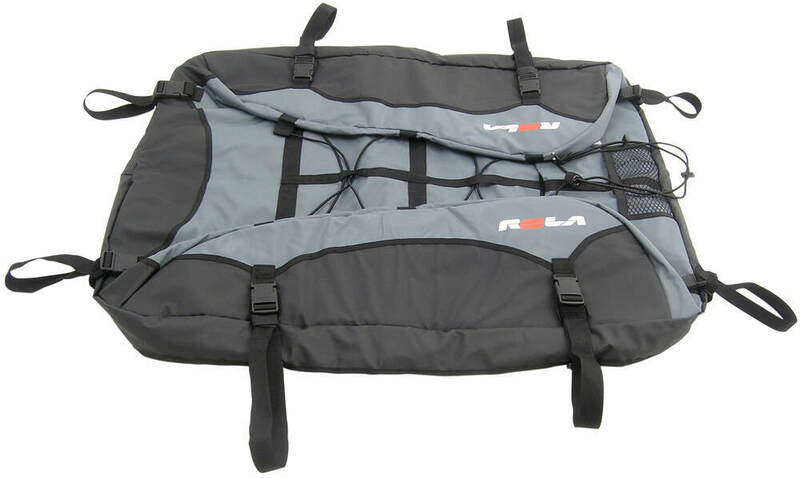 Lowest Prices for the best roof bag from Rola. Rola Platypus Expandable Roof Top Bag - Water Resistant - 15 cu ft part number 59100 can be ordered online at etrailer.com or call 800-298-8924 for expert service. The cinch straps improve fit and appearance, no matter the amount or shape of cargo. They also help eliminate the noise of a bag flapping in the wind. 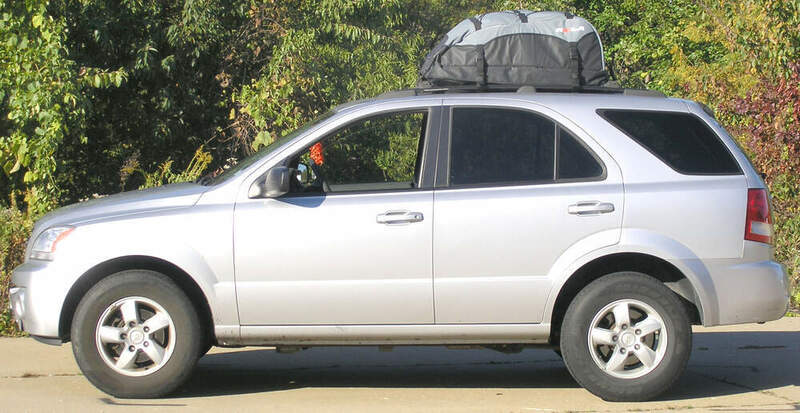 This extra-large cargo bag is great for hauling your gear on top of your vehicle. Mounts to a roof rack, cargo basket, or bare roof. Waterproof material, a specially designed zipper, and double-sealed seams keep your cargo clean and dry. 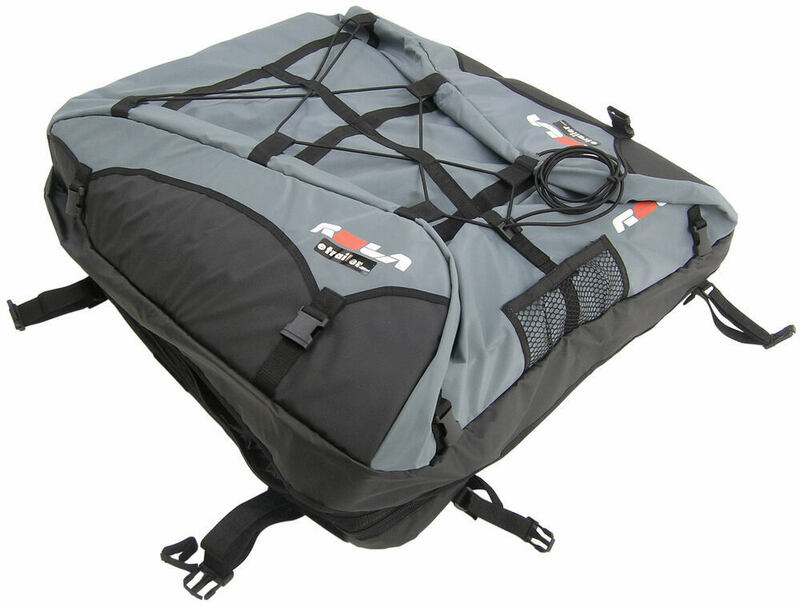 This family-sized cargo bag offers superior water resistance (IP-X3) and size. It attaches to your vehicle's crossbars or side rails with included heavy-duty web straps. A padded base protects your roof. Coated zipper includes large storm flap. Rightline Gear Sport 1 Rooftop Cargo Bag - Waterproof - 12 cu ft - 38" x 34" x 19"
Rhino-Rack Rooftop Cargo Bag - Waterproof - 12 cu ft - 47" x 37-1/2" x 11-1/2"
Rightline Gear Ace 1 Rooftop Cargo Bag - Water Resistant - 12 cu ft - 38" x 34" x 16"
Rightline Gear Sport Jr. Rooftop Cargo Bag - Waterproof - 9 cu ft - 36" x 30" x 16"
Rightline Ace Jr Rooftop Cargo Bag - Water Resistant - 9 cu ft - 36" x 30" x 14-1/2"
Rightline Gear Car Top Duffel Bag - Waterproof - 4.3 cu ft - 36" x 16" x 13"
Today, we'll be reviewing the Rola Platypus expandable rooftop bag with 15 cubic feet, part number 59100. 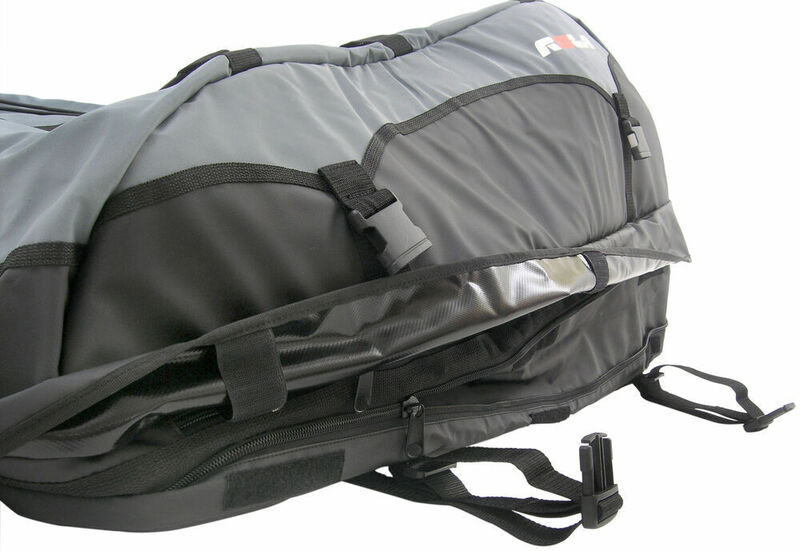 This rooftop bag holds up to 15 cubic feet of gear. The bag itself is expandable from 10 cubic feet to 15 cubic feet by unzipping the bottom zipper shown here. The top zipper shown here is a zipper to allow you to open the cargo bag and load your gear. The hook and loop fastener, here on the zipper flap, allows you to further protect your gear from the elements by holding the zipper flap down. The bag is made out of premium quality construction and the thick padded bottom protects the rooftop of your vehicle. The eight tie down straps with clips make sure that the bag is secure, while also making it easy to install. The aerodynamic styling and sensing straps improve the fit of the bag and appearance. To assist us in loading the cargo bag and securing the bag to the vehicle, we will be using the Hitch Mate adjustable tire step, part number HE4040. We'll now throw the bag on top of the vehicle and use the first zipper to expand the cargo bag, the second zipper to open it up. We'll unfold the cargo bag all the way out and place our gear into the bag. We'll bring the top flap over the cargo and use the zipper to close it. We'll then use the zipper flap to fold over the zippers to further protect our cargo from the elements. We'll then use the eight straps to swing around our crossbars or roof rack system to secure the bag to the vehicle. And now with our bag secured to the vehicle and our gear loaded up, we're ready to head on down the road. And that concludes today's review of the Rola Platypus expandable rooftop bag, 15 cubic feet, part number 59100..
Site has been updated to reflect the proper weather resistant label. Greats of far so,good. It has made vacations a ton easier and it certainly withstands cold, heat and wind storms. Love it. Do you have a question about this Roof Bag? Yes! 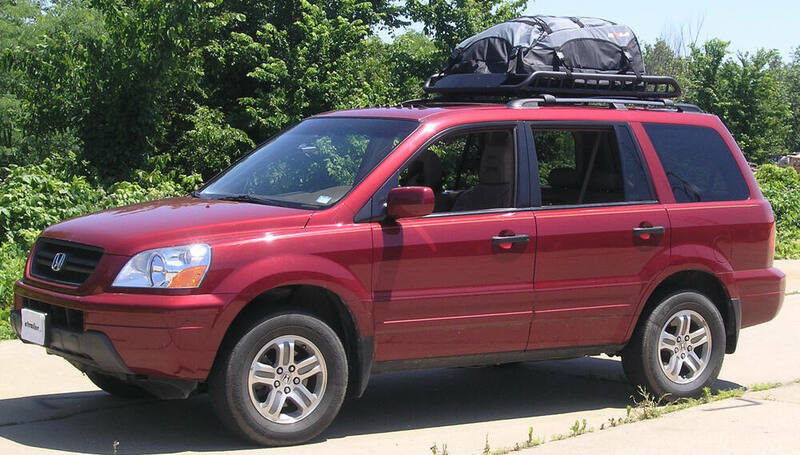 The Rola roof rack # 59636 fits and will attach to the fixed mounting points on your 2010 Subaru Forester. Everything is included with the roof rack. No other parts are needed to complete the rack. There are several accessories available for the rack including bike rack # 59404, cargo bag # 59100, and basket # 59504 just to name a few. 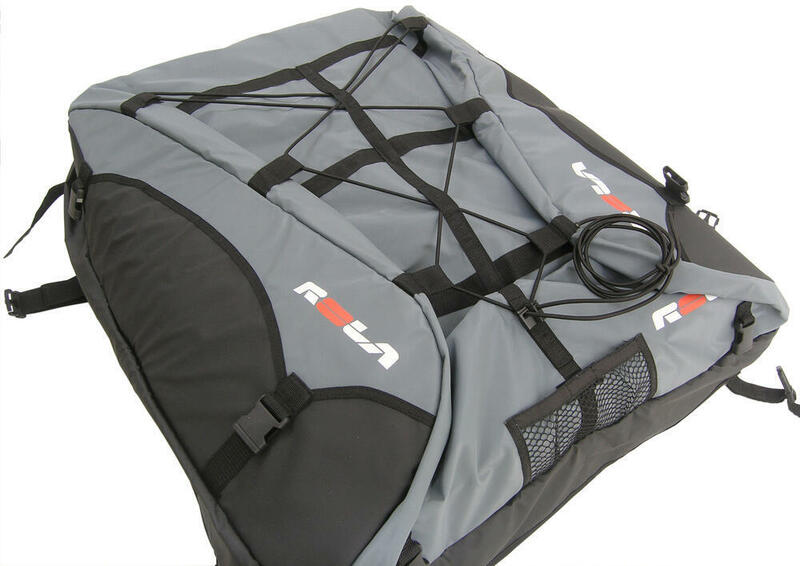 What are the Differences Between Roof Bag on Naked Roof and Roof Rack Mounted Bag? The Rola Platypus part # 59100 that you referenced will fit the factory crossbars on your 2017 Subaru Outback wagon and work well. Yours being 36 inches apart from inside to inside would fit this bag easily. You can install a cargo bag on the roof of your 2014 Toyota Corolla with a naked roof. 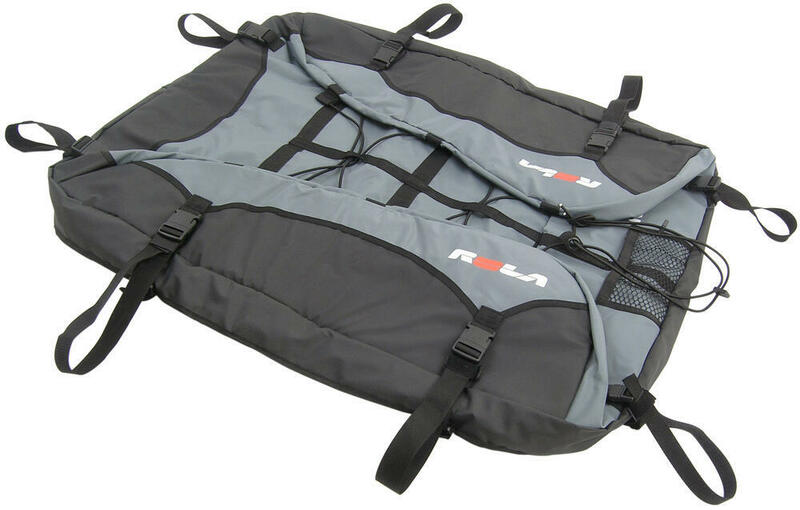 Check out the Cargo Bag part # RL100S30. This bag can be installed on vehicle roofs with raised side rails, crossbars or cargo baskets, or roofs without racks so it should work well for you. I also recommend a protective pad, # RL100650, to protect the roof when using the bag. 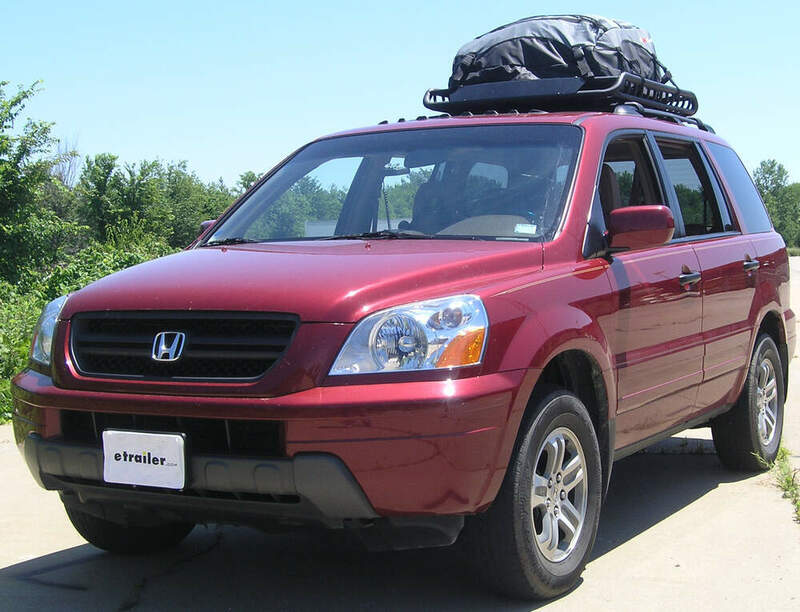 Yes, this Rola Platypus Expandable Roof Top Bag, part # 59100, can attach to your 2007 Honda CRV EX-L using only the cross bars. You would just need to use the two straps that are on the front of the bag and the two straps that are on the back to secure this bag. I attached installation instructions and and a review video of this product below for you to check out also. Will SportRack SR1010 fit on a 2010 VW Jetta? For your 2013 Toyota Venza, I recommend the Rhino-Rack RS 2500 Roof Rack for Naked Roofs - Vortex Aero Crossbars # RRRS433B. This is a confirmed fit for your Venza and I've attached a video to assist with installation. 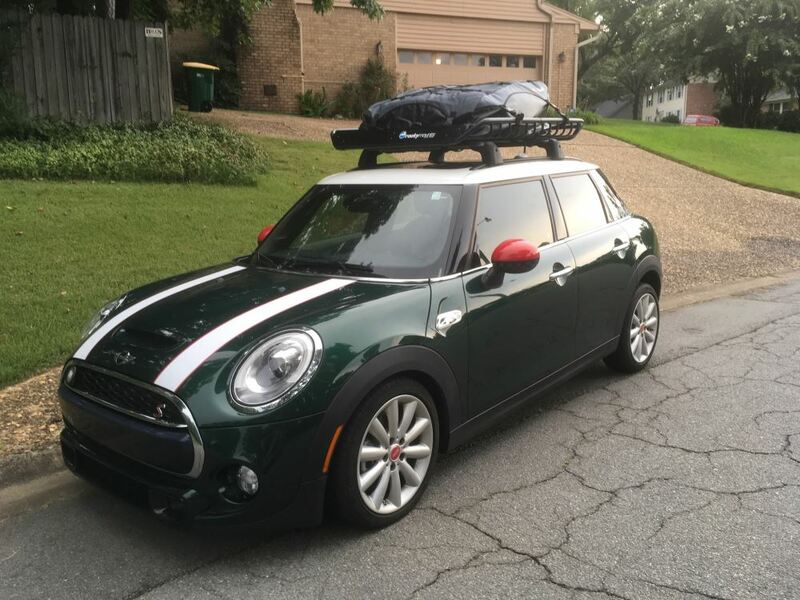 Since you will be carrying luggage, I also recommend the Rola Platypus Expandable Roof Top Bag # 59100 or a roof box like # MPG902 for a quality and cost effective option. Let me know if you have further questions. The biggest difference between the two bags you referenced, part # 59100 and # 988501 is the applications for each bag. 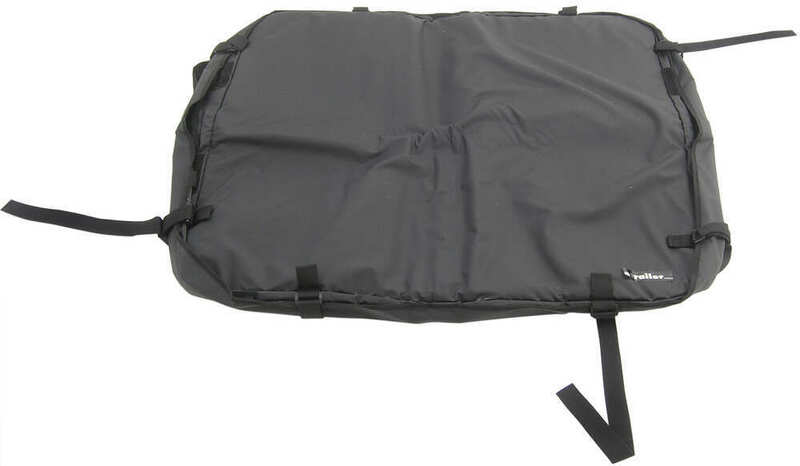 The # 59100 is designed as a roof mounted cargo bag designed to install on a roof rack or roof basket and the # 988501 is designed for use in a hitch mounted cargo carrier like the # 63153. Check out the review videos I attached for both products. 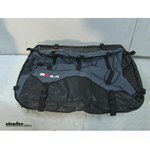 Highest quality roof bag for the best price. 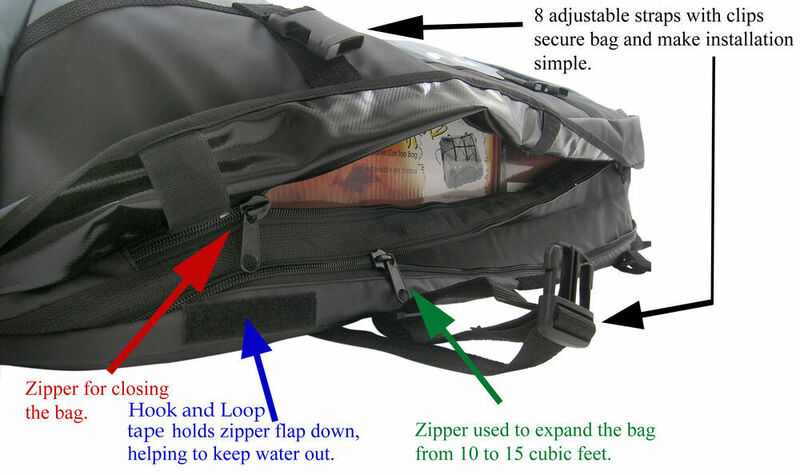 Most detailed, accurate roof bag information available.